We have friends on both the Code Pink Gaza Freedom March (stranded and protesting in Egypt) and also on the Viva Palestina Convoy waiting for boats to go to Al Arish. Because of the volatile situation in Egypt we have devoted more time to monitoring that situation than reporting on our Irish boys from Derry. 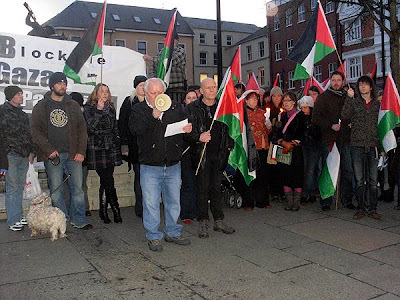 So we plan to do some catching up on the Viva Palestina convoy now because they are about to face a trying and dangerous time. More one that in a minute.
" Thank you to the people at home in Derry and further afield for your support on this all important humanitarian mission; your support is the fuel which keeps us going.
" We returned the 500 kms to Damascus which was forced upon us, and now we are going to make our way to the nearby port of Latakia. "We hope to get the ferry to Egypt which takes 20 hours, and arrive into El Arish, only 25 km from Gaza. "The Turkish government is paying for our ferry to go to Egypt and fair play to them, although the Egyptian government remains hostile to our mission. "If we are turned away at the Bay of Egypt, or even worse, if we can't get on the ferry, then we will have to face more serious challenges put in our way... of delivering this life saving aid. Either way the next few days are crucial." 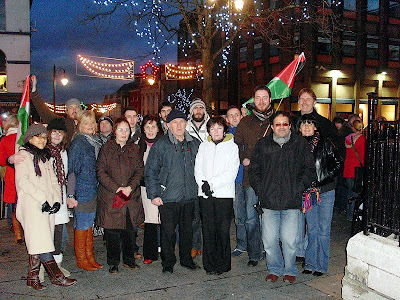 Sinn Fein Clr and former Deputy Leader of the "Hope Convoy" to Gaza in May 2009, Gerry MacLochlainn, reading out names of children murdered by Israel. 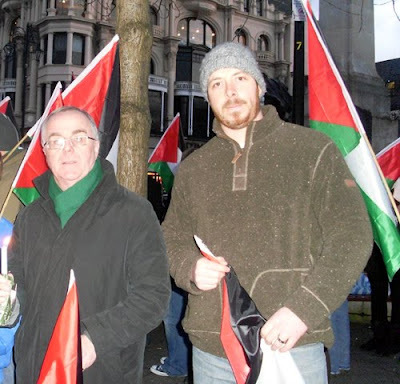 Sinn Fein MLA Raymond McCartney with Steve Crockett in support of the "Derry to Gaza" five. So, where it stands now is they are in the process of having the vehicles go by boat and the people by plane. Should all things go according to “plan” the convoy should arrive in Gaza in 4-7 days. However, what worries me is one dangerous situation looms in the distance, and that danger is Israel. For the Israeli pirates who only a few months back boarded, seized and confiscated a boat of dignitaries bound for Gaza, then jailed Mairead Corrigan, Cynthia McKinney and many others, could make an attempt to seize the cargo boat. 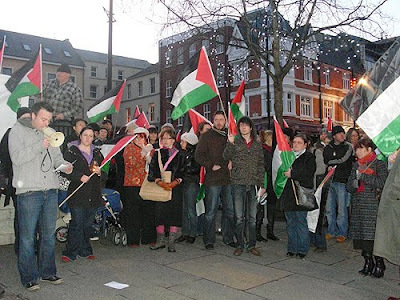 To all our readers: We have made arrangements to be in contact with the “Derry to Gaza” team and will post personal updates here as we get them, along with any photos as well. 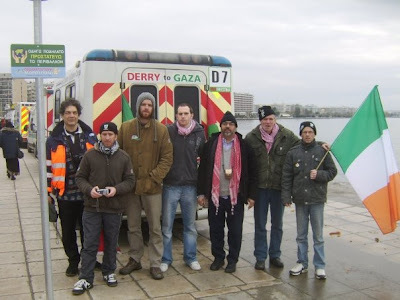 And to the “Derry to Gaza” Team, if you see this post, your families all say “We are so proud of you, best of luck” and the whole of Derry support you!! 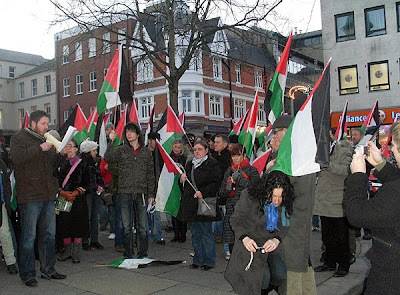 On 6th December 2009 the third Viva Palestina international aid convoy set off from London. Over the next few weeks it traveled almost three thousand miles through 9 countries gaining support as it went. 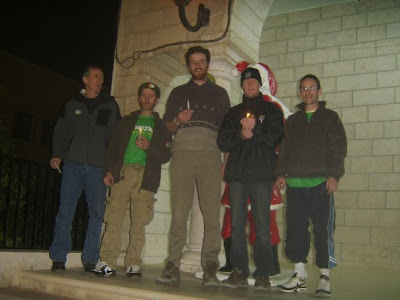 By 24th December, Christmas Eve, when it reached the post of Aqaba in Jordan it had grown to almost 500 people in 250 vehicles - carrying much needed medical aid for the besieged people of Gaza. And there it's journey could have come to an end. The convoy was refused passage across the Red Sea to the Sinai by the Egyptian authorities - gatekeepers of the Rafah crossing into Gaza. The convoy would only be allowed to enter Gaza if it landed at the port of Al-Arish on the Mediterranean coast. The convoy was forced to turn around and head back through Jordan and Syria to take ship from there to Egypt. But this solution, imposed by the Egyptian authorities, has come at a cost. Viva Palestina and our partners will need to charter three ferries and a plane to move our vehicles and convoy members from Syria to Egypt. And we need to raise the money to pay for this. So we are asking our friends and supporters to dig deep in their pockets and make an emergency donation towards the costs now facing the convoy. With your help we will once more deliver aid to the people of Gaza - and once more demand the end to this in human siege. Thanks you for your support and may we wish everyone a Happy New Year. Thank you SO much!! Any donation is good, no matter how small it is. If everyone gave only 5.00 we could raise thousands. France has done such a good job in Egypt on the Gaza March, you must be so proud of your delegates on that march. Any chance of your Sinn fein supporters reading out the names of the children they murdered? "Any chance of your Sinn fein supporters reading out the names of the children they murdered?" I think you have Sinn Fein confused with the British Army who murdered Irish children like the Israelis murder Palestinian children. You should get some help for your condition.